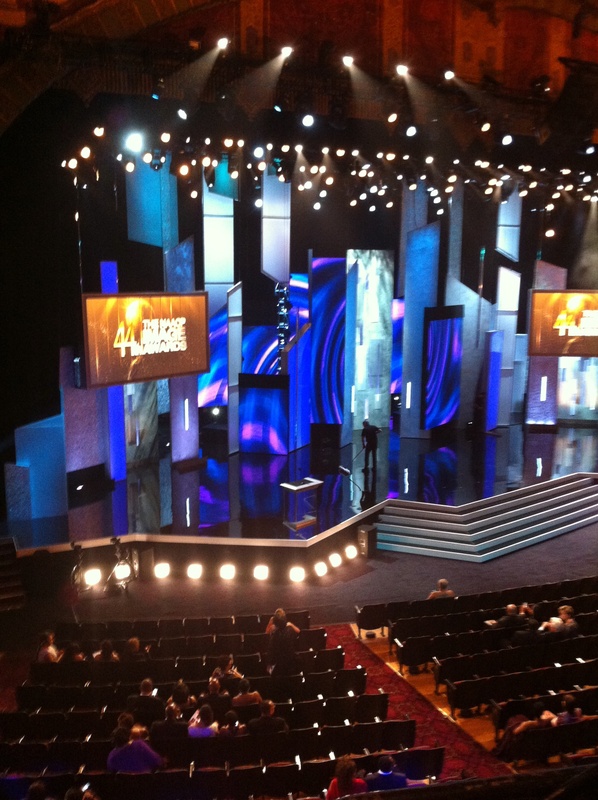 Between the week of January 26th – February 1st, I had the honor in participating in the infamous NAACP Image events and also attended the 44th NAACP Image Awards Ceremony held at the Shrine Auditorium in Los Angeles on that Friday. Along with many other Detroit Leaders representing the Motor City, we had a strong presence and great representation in Los Angeles. When the Chrysler commercial featuring Berry Gordy Jr. and Motown aired an applaud broke out in the crowd. Among the sponsors, our very own UAW Chrysler was a main sponsor of the event. Right after the airing of the Chrysler commercial, a passionate and warm videotaped message from Detroiters General Holiefield of the United Auto Workers and Chrysler veep Al Iacobelli was displayed on the screens right above the stage. Motown recording artist and native Detroiter Kem also performed a remarkable miniconcert in an intimate setting during the post-show gala, was nominated for four Image Awards this year. Detroit attorney Gregory Reed snagged one of the prestigious statues for his book, “Obama Talks Back: Global Lessons — ADialoguewith America’s Young Leaders” (Amber Books). Also, we were also Detroiters spotted mixing and mingling with the celebs during lavish pre-and post-show galas were an impeccably dressed NAACP Detroit Branch executive cirector Donnell White in a fitted navy tuxedo; a very colorful Wayne County Circuit Judge Craig Strong, sporting a blue brocade jacket and a cobalt hat adorned with red feather plume; and the Roostertail’s Tom Schoenith, who wore a black beaded Ralph Lauren tuxedo shirt. Even more Detroit reps included actor/model Mel Chude; clothier Tarrance Deas (who dressed ex-Tyler Perry Studios Executive VP and Bobbcatt Films CEO Roger Bobb for the event); soap star (“All My Children”) and Cass Tech alumni Cornelius Smith Jr.; DTE Foundation manager Karla Hall; Wayne County Sheriff’s Office chief of staff Mike Turner; and Wayne County Sheriff and possible Detroit mayoral candidate Benny Napoleon. Founded on Feb.12, 1909, the National Association for the Advancement of Colored People (NAACP) is the nation’s oldest and largest civil rights organization. Since its inception, the Detroit branch has remained the organization’s largest branch in the country.